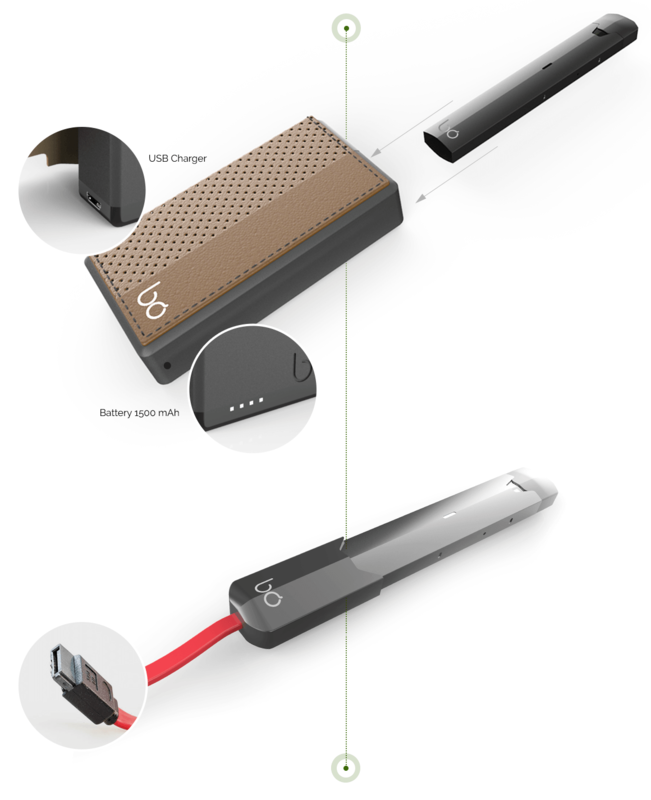 Portable power station can charge your Bō up to 4 times on a single charge. Keeps your device safe and gives you freedom on the go. Customize your power station by choosing a skin that fits your personal preference. Available in 4 color choices. The perfect accessory to provide complete freedom. 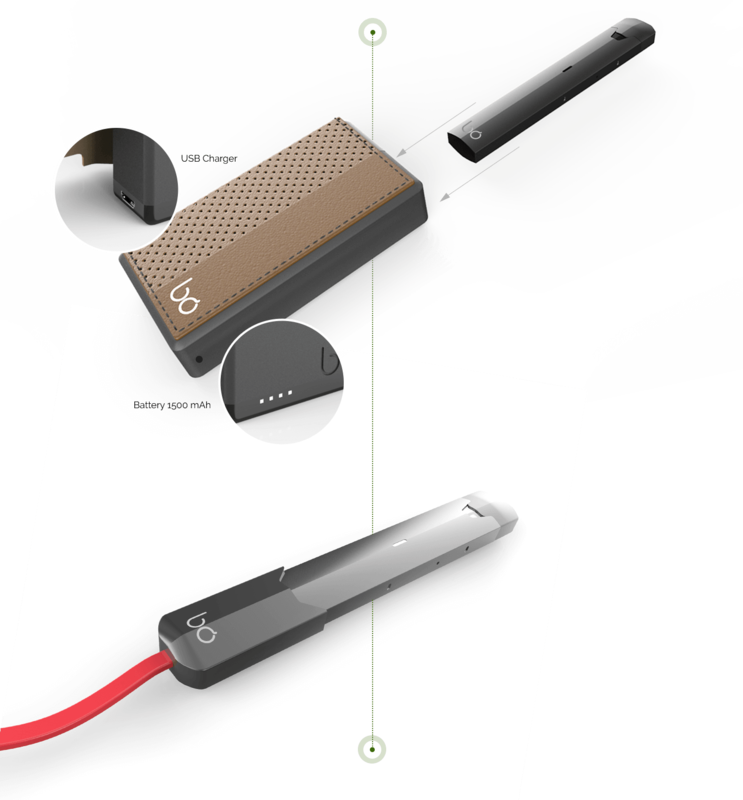 This USB charger allows you to charge your device from anywhere, while it’s 2.3 ft cord enables you to vape while you charge.